MEDAL OF HONOR WARFIGHTER is a first-person shooter featuring covert Tier 1 military operative combat. The game is a sequel to the 2010 release, Medal of Honor, which moved the long-running game series from its roots in WWII based gameplay, into modern warfare scenarios and true-to-life conflicts. Who’s really the best? Find out for yourself! Get a taste of the full game, with 2v2 and 4-player online tournaments. Play as Kratos, Sweet Tooth, Radec, Sly, PaRappa and Fat Princess as you battle in Metropolis or Hades, and check out the Cross Play action for yourself. This code works for both the PlayStation 3 and PlayStation Vita systems. This Beta ends on October 30th at 11:59pm Pacific, but you can experience even more when the full game launches on November 20th, 2012. Relive the original Killzone experience in high-definition 720p and new Trophy support. Originally released for PlayStation 2 in 2004, Killzone tells the story of Jan Templar, an ISA Captain whose home planet comes under attack from a Helghast invasion army. Together with a hot-headed sergeant named Rico, a deadly Shadow Marshal known as Luger, and the half-human, half-Helghast spy Hakha, Templar must attempt to reactivate the Orbital Defense Platform and drive the invading forces from his planet Vekta. Experience Emmett Graves’s quest for revenge in the Starhawk Single Player campaign. Called back to protect his home town of White Sands, hired gun Emmett Graves must rely on an arsenal of weapons and a little luck to fight off hordes of raiding Outcast and bring their leader, the ruthless outlaw, to justice. Compatible with PlayStation Vita only. Enjoy hilarious mini-games and interact with your PS Vita in just about every way possible. In Frobisher Says! – an exclusive app for PS Vita – enter Frobisher’s colourful world and prepare to face the weirdest, funniest and most addictive gaming experience of your life. Experience Super Monkey Ball™ as you’ve never seen it before! With local and Online Multi-player, custom level creation using the PlayStation®Vita System Rear Camera, 8 Mini-games and over 100 unique challenges, Super Monkey Ball: Banana Splitz™ takes the platforming / puzzle genre to new heights! Music and strategy unite in perfect harmony in this unique rhythm game. Set in a world of light and dark, two gods embodying the creative and destructive forces of the universe meet in furious orchestral battle. Utilize the touchscreen to direct your warriors and tap-tap-tap your way to victory by keeping the beat. Unlock new skills, unleash new attacks, track your stats on the online ranking system or go head-to-head in 2 player Ad Hoc mode. Zero Escape: Virtue’s Last Reward is a suspense-driven visual novel/puzzle game and spiritual sequel to the hit, 999. Zero has kidnapped nine people and placed them in a warehouse to play the deadly Nonary Game. Play as Sigma and decide who among the eight others to trust and who to betray in this plot twisting visual novel! With fully voiced dual language support, new puzzles and more, solve the mystery that is Zero! The first blast wiped out your Space Center. In just 3 hours, the high-tech weapons satellite will strike again…It’s your job to make sure that it doesn’t. The bears had a party and Naughty Bear wasn’t invited. Now they will pay… with their lives. All the fun of the original but with 3 new episodes, 3 new weapons and kills and 12 new costumes. Includes Naughty Bear Gold and Panic in Paradise. Naught Bear Gold also contains 4 new Multiplayer Modes. Our Day 1 Digital program continues this week with Medal of Honor Warfighter, sequel to 2010’s Medal of Honor. The Darkness II also makes its way onto the store this week, along with the single-player campaign of Starhawk. If you do end up purchasing Starhawk’s single-player campaign and decide you want in on the multiplayer action, please purchase the separate multiplayer item in the store, not the online pass. Another highly anticipated release this week is The Unfinished Swan. This artistic game is receiving positive reviews, so check it out. Killzone HD joins The Unfinished Swan as a PSN release this week, so if you’ve been itching to replay it with trophies, here’s your chance. Finally, there’s a bunch of new releases on PS Vita. Street Fighter X Tekken hits the platform, along with a plethora of downloadable content. Costume changes, free gems and more await you. Of course, if you don’t like fighters, there’s the new free app, Frobisher Says! that you can play around with. Rounding out the PS Vita offerings are Super Monkey Ball Banana Splitz, Orgarhythm, and Zero Escape: Virtue’s Last Reward. Oh, and if you want to download Final Fantasy III directly on your PS Vita, you can now do so. Try your hand at skiing, golf, and tennis in this demo for Sports Champions 2. PlayStation Move motion controller and PlayStation Eye camera required. This demo is playable in 2D or 3D. To enjoy stereoscopic 3D features, you will require a 3D TV that supports 3D stereoscopic display and 3D compatible glasses. Experience Super Monkey Ball as you’ve never seen it before! With local and Online Multi-player, custom level creation using PS Vita’s Camera, eight mini-games and over 100 unique challenges, Super Monkey Ball: Banana Splitz takes the platforming / puzzle genre to new heights! All DLC purchased on the PS3 version can be used on the PS Vita version, and vice versa. Color Palette Add-Ons (Free) – Color packs (each color pack contains 4-color sets) for character color customization. Special Color Palettes also available. Boost Gem Trial Packs (Free) – Each Boost Gem Trial Pack contains a total of 3 Boost Gems that all characters can use. NOTE: Only visible to those who are entitled to the PS3 version of these packs. Preset Combo Packs (Free) – Each Pack adds a Preset Combo to the default 2 slots! Special Gem Packs (Free) – Each Special Gem Pack contains a total of 3 Boost Gems that all characters can use. NOTE: Only visible to those who are entitled to the PS3 version of these packs. Combo Editor ($2.99) – Enables use of the Combo Editor for all characters. Create your own custom combo for each character! SF Boost Gem Packs ($0.99 each) – 10 Boost Gems exclusively for Street Fighter characters. Each Boost Gem Pack activates upon a different condition. TK Boost Gem Packs ($0.99 each) – 10 Boost Gems exclusively for Tekken characters. Each Boost Gem Pack activates upon a different condition. SF/TK Shared Assist Gem Pack 4 ($1.99) – This 4 Gem pack is great for battle veterans. These Assist Gems can be used by all characters. Note: If you would like to see the effects of the Gems individually before purchase, please use the Store from the game’s Main Menu. The effects of the Gems may be subject to change. SF DLC Char Swap Costume Complete Pack ($3.99) – A pack featuring the swap costumes for the 6 Street Fighter DLC characters. The SF cast take on the look of Tekken characters with these new outfits. Characters Included: Sakura, Blanka, Guy, Cody, Elena, Dudley Note: This add-on content can only be used if the additional character pack has been purchased. SF Swap Costume Complete Pack ($12.99) – A pack featuring the swap costumes for the 19 Street Fighter characters. The SF cast take on the look of Tekken characters with these new outfits. Characters Included: Ryu, Ken, Chun-Li, Cammy, Guile, Abel, Dhalsim, Sagat, Rolento, Ibuki, Poison, Hugo, Rufus, Zangief, Vega, Balrog, Bison, Juri, Akuma Note: Please be careful not to purchase the same costume twice. TK DLC Char Swap Costume Complete Pack ($3.99) – A pack featuring the swap costumes for the 6 Tekken DLC characters. The TK cast takes on the look of the Street Fighter characters with these new outfits. Characters Included: Lars, Alisa, JACK-X, Bryan, Christie, Lei. Note: This add-on content can only be used if the additional character pack has been purchased. TK Swap Costume Complete Pack ($12.99) – A pack featuring the swap costumes for the 19 Tekken characters. The TK cast takes on the look of the Street Fighter characters with these new outfits. Characters Included: Kazuya, Nina, Asuka, Lili, Heihachi, Kuma, Paul, Law, King, Marduk, Hwoarang, Steve, Bob, Julia, Yoshimitsu, Raven, Jin, Xiaoyu, Ogre. SF/TK Swap Costume Complete Pack ($17.99) – This pack features the swap costumes for the Street Fighter and Tekken characters. The costumes for the 38 regular characters are included in this pack. DLC Char Swap Costume Complete Pack ($5.99) – This pack features the swap costumes for the Street Fighter and Tekken DLC characters. Characters Included: Sakura, Blanka, Guy, Cody, Elena, Dudley, Lars, Alisa, JACK-X, Bryan, Christie, Lei Note: This add-on content can only be used if the additional character pack has been purchased. Kuma (Swap Costume) ($0.99) – Word on the street is that Kuma has joined R.Mika’s wrestling league. Apparently this was the only costume they had that would fit him! Abel (Swap Costume) ($0.99) – Rumor has it that in the hopes of one day stepping into the ring with Armor King, Abel puts in a special order for a new costume. Akuma (Swap Costume) ($0.99) – While training under a waterfall, Akuma somehow takes on the appearance of Heihachi. Alisa (Swap Costume) ($0.99) – Rumor has it that after hearing that Juri is working together with M.Bison, Alisa disguised herself as Juri in the hopes of getting to the bottom of Shadaloo’s recent activities. Note: This add-on content can only be used if the additional character pack has been purchased. Asuka (Swap Costume) ($0.99) – For a work-study program at school, Asuka was sent to a certain ninja village. Does Asuka have what it takes to learn the ninja arts from Ibuki?! Balrog (Swap Costume) ($0.99) – Rumor has it that after defeating Steve in a fight, Balrog decided to dress up as him to further mock his fallen adversary. Blanka (Swap Costume) ($0.99) – After a fight with Hwoarang, the two become friends. Rumor has it that Blanka decided to get some matching clothes as a token of appreciation. Note: This add-on content can only be used if the additional character pack has been purchased. Bob (Swap Costume) ($0.99) – Rumor has it that Bob was impressed by Ryu’s never-ending dedication to the fight. He decided to pay the original world warrior homage with a special outfit. Bryan (Swap Costume) ($0.99) – Rumor has it that with his powers and abilities being recognized by Urien, the second in command of a mysterious organization, Bryan is brought into their ranks. Note: This add-on content can only be used if the additional character pack has been purchased. Christie (Swap Costume) ($0.99) – Brainwashed by M.Bison, the leader of Shadaloo, Christie becomes a member of Bison’s special bodyguard unit, The Dolls… Note: This add-on content can only be used if the additional character pack has been purchased. Chun-Li (Swap Costume) ($0.99) – The First Lady of Fighting shows off a softer side with this adorable panda outfit. Fans of Chun-Li and pandas won’t want to miss out! Cody (Swap Costume) ($0.99) – Rumor has it that Cody beat Paul in a money match, but after Paul came up short on funds he was forced to pay with the shirt off his back. Note: This add-on content can only be used if the additional character pack has been purchased. Dhalism (Swap Costume) ($0.99) – Rumor has it that the spirit of Heihachi’s father, Jinpachi Mishima, reaches out to Dhalsim. Dhalsim himself undergoes a transformation as he channels the legendary warrior. Dudley (Swap Costume) ($0.99) – Rumor has it that this was a present from a certain dancing Tiger. Dudley was reluctant, but it would be rude not to accept such a thoughtful gift. Note: This add-on content can only be used if the additional character pack has been purchased. Elena (Swap Costume) ($0.99) – Rumor has it that Elena met Julia during the latter’s reforestation activities. The two became good friends, and Julia gave Elena these clothes as a present. Note: This add-on content can only be used if the additional character pack has been purchased. Guile (Swap Costume) ($0.99) – Rumor has it the military has been working together with the G Corporation to develop a stronger, faster Guile based on JACK-X…?! Guy (Swap Costume) ($0.99) – Rumor has it that Guy disguised himself as Kazuya in order to infiltrate the G Corporation. Note: This add-on content can only be used if the additional character pack has been purchased. Heihachi (Swap Costume) ($0.99) – Rumor has it that Heihachi taught Sodom, formerly of the Mad Gear Gang, how to truly appreciate Japanese culture. As a sign of thanks, Sodom sent him this outfit. Hugo (Swap Costume) ($0.99) – Rumor has it that during a recent trip to Japan, Hugo became friends with the retired sumo wrestler Ganryu. Hugo decided to give sumo a try, and this is his wrestling outfit. Check out Hugo’s new hairstyle! Hwoarang (Swap Costume) ($0.99) – Rumor has it that after listening to Dee Jay’s newest single, Hwoarang has become a big fan. He gets the clothes and the hair to match! Ibuki (Swap Costume) ($0.99) – Ibuki’s latest assignment has her joining the Manji Clan. She’s added an accessory to the outfit to remind her of Don-chan. JACK-X (Swap Costume) ($0.99) – Rumor has it that to gain more information about the sumo style of fighting, JACK-X decides to enter the sumo world. He tries to dress for the part, but somehow this makes him even more conspicuous! Note: This add-on content can only be used if the additional character pack has been purchased. Jin (Swap Costume) ($0.99) – Rumor has it that the mysterious agent C.Viper was investigating the Mishima Zaibatsu when she was captured. Jin took an interest in her battle suit and had the Mishima Zaibatsu fashion one for his personal use. Julia (Swap Costume) ($0.99) – Rumor has it that Julia and Chun-Li became friends through studying Chinese kempo together. Chun-Li gave Julia these clothes as a gift. Juri (Swap Costume) ($0.99) – Rumor has it that after defeating Zafina who was sent to assassinate her, Juri took on her appearance in order to infiltrate the enemy camp. Kazuya (Swap Costume) ($0.99) – Rumor has it that in order to discover Guile’s secrets, Kazuya plotted to take over a certain country’s air force. However, things didn’t quite go as planned as he ended up becoming a regular soldier. Ken (Swap Costume) ($0.99) – Ken dresses up as his son’s favorite Super Hero, Bokori Man. But there’s a striking resemblance to Lars…?! King (Swap Costume) ($0.99) – Rumor has it that while teaming up with the up and coming martial artist Alex, King put in a special order for some new threads. Lars (Swap Costume) ($0.99) – Rumor has it that after defeating a ninja named Geki who had come to take his life, Lars decided to don his outfit and try to infiltrate his organization. Note: This add-on content can only be used if the additional character pack has been purchased. Law (Swap Costume) ($0.99) – Rumor has it that with Law’s restaurant engaged in a bitter rivalry with El Fuerte’s, Law decided to up the ante by becoming the Masked Chinese Martial Artist Chef! Lei (Swap Costume) ($0.99) – Upon hearing about the activities of a suspicious individual, apparently Lei disguised himself as that man in order to sneak into his Hong Kong dojo. …The pink unexpectedly suits him. Note: This add-on content can only be used if the additional character pack has been purchased. Lili (Swap Costume) ($0.99) – Rumor has it that In order to avoid her father’s vigilant surveillance, Lili took on a different look. However, she’s taken a liking to this outfit… which bears a striking resemblance to Poison. M. Bison (Swap Costume) ($0.99) – Rumor has it that Bison became intrigued by Bryan’s unique abilities. Taking over his body, the result is…?! Marduk (Swap Costume) ($0.99) – Rumor has it that while teaming up with Hugo, Marduk decided a slight wardrobe change was in order. Nina (Swap Costume) ($0.99) – Rumor has it that Nina might be working for… Rolento’s army?! Paul (Swap Costume) ($0.99) – Rumor has it that Paul became friends with Rufus due to their love of motorcycles. Rufus gave him these clothes for his next ride. Poison (Swap Costume) ($0.99) – A transformation brought about by the Devil Gene has lured out Poison’s wild side. Raven (Swap Costume) ($0.99) – Rumor has it that Raven impersonated Guy in order to infiltrate the Bushinryu dojo and learn its secrets. Rolento (Swap Costume) ($0.99) – Rumor has it that as a first step to creating his utopia, Rolento planned a takeover of Raven’s organization. Although he was successful, a subsequent restructuring resulted in Rolento becoming a minor agent. Ryu (Swap Costume) ($0.99) – Rumor has it that after becoming drenched in blood during a fight with Devil Jin, Ryu is transformed by the Devil Gene. Sagat (Swap Costume) ($0.99) – Rumor has it that Sagat defeated Dragunov, who had come to assassinate him. Sagat took his uniform as a token of his victory. Sakura (Swap Costume) ($0.99) – In order to attend a cultural festival at Asuka’s school, Sakura borrows one of their uniforms. Note: This add-on content can only be used if the additional character pack has been purchased. Steve (Swap Costume) ($0.99) – Rumor has it that after a bout a few years ago, Steve received a present from a friend of Guile’s who was deeply impressed with his boxing style. Vega (Swap Costume) ($0.99) – Vega, interested in Japan, the birthplace of the ninja, fashioned himself a new mask based on the Manji Clan. Of course, he also had to come up with some new threads to match. Xiaoyu (Swap Costume) ($0.99) – Rumor has it that when Chun-Li came to arrest Jin, Xiaoyu felt jealous and insecure compared to the more mature Chun-Li. She took on a new look to prove that she can be just as appealing as the Interpol detective. Yoshimitsu (Swap Costume) ($0.99) – Rumor has it that after defeating Bison in a fight, Yoshimitsu took the Psycho Power as his own. Zangief (Swap Costume) ($0.99) – Many people didn’t believe Zangief when he said he trained by wrestling bears. He made this outfit to prove them wrong. Complete DLC Bundle ($1.99) – All eight pieces of DLC for Super Monkey Ball: Banana Splitz in a single bundle! Each DLC pack enhances and adds to the custom Level Creator, allowing you to create all-new maps like never before. From super-challenging level pieces to giant Sonic statues, and even including a SEGA Genesis for the truly old school gamers, this bundle is the ultimate collection for fans of Super Monkey Ball! Angel & Demon Set ($0.99) – Download the ‘Angel & Demon Set’ and unlock the following items to help you along your journey: Angel Bow (Attack +4), Angel Halo and Angel Clothes (rejuvenates life), Devil Spear (raises Attack and Power), Devil Horn (raises Attack Power), and the Devil Outfit (raises Attack Power)! Animal Set ($1.99) – Download the ‘Animal Set’ to get a variety of wild costumes that will increase Life, cure, and add defense against winds! This includes animals such as the Bear, Polar Bear, Panda, and Pancho! Princess Battle Outfit Set 1 ($2.99) – Download the ‘Princess Battle Outfit Set 1’ to unlock different Armor sets for each of the princesses, including princess Apricot, Sakura, Amabile, and Verde! Supreme Ruler Dragon Set ($0.99) – Download the ‘Supreme Ruler Dragon Set’ to receive more Life, Attack, and flame damage! This includes the Ruler’s Dragon Helmet, Chainmail, and Lance! Halloween Chess Set ($2.49) – What better way to enjoy this spooky time of year than with the Pure Chess Halloween game pack! Inspired by fearsome fright night icons this beautifully rendered, mesmerizingly detailed pewter chess set will have you quaking in your boots! And it’s not just for Halloween – it can be used all year round…You’ll have a frighteningly good time playing Pure Chess with this ghoulish set. Download it – if you dare! Artorias of the Abyss ($14.99) – Dark Souls: Artorias of the Abyss DLC will include all-new content from an untold chapter in the world of Lordran. Sent back to the past, the player will discover the story when Knight Artorias still lived. Round 2 Costumes – Full Set ($12.99) – Get the entire second round of costumes in one pack. All costumes from Kitty Pack, What a Character, and Special Set are included in this package. Twelve costumes in all! Pimp My Rabbit Pack ($2.99) – Unlocks 58 new masks and 11 new driller skins, some of which based on classic SEGA franchises such as Shinobi, Jet Set Radio, Crazy Taxi and more! Virtual Rabbit Missions ($4.99) – 50 new missions, adding more than 3 hours of gameplay, to be played in a brand new Virtual Reality world! Katy Perry – Part of Me ($2.99) – The world’s 1 dance game brand is back with Just Dance 4! Download Katy Perry’s Part of Me and keep the party going! Flashy Coordination (Free) – Here is a set of equippable items! Train one at a time or many at once! Create a party that is unique to you! Undisputed God Prudence Pack 2 (Free) – This a set of usable items for all you mid-level ultimate gods out there! The set includes, healing, revival and hot spring use items. G Up Pack 2 (Free) – I want to upgrade my items, but I just don’t have the points… Here is a present just for you with the points that are necessary to upgrade items, G Up! Point Pack 2 (Free) – I just can’t seem to get enough points… For those of you who feel this way, here is a currency boost containing G and a character strengthening boost containing Mugen Points. Jiggly Transmission and Equipment Pack 2 (Free) – Thank you for using the Jiggly Transmission! Here is a set of equippable items that will aid you on your adventure! This time, please find: gloves, a spear, a scythe, Dual Long and Short Blades and defense items! DLC Pack ($14.99) – Continue Luffy’s journey to become the Pirate King with this exciting DLC bundle featuring special costumes and additional scenarios. Screen Legends Pack ($1.99) – Two legendary outfits combined in one pack, with a new buff and an exclusive weapon. SWAT Pack ($3.99) – 20 all-new and replayable ‘Cop Job’ missions, featuring a unique SWAT outfit & SWAT van. Tricks and Treats Pack ($3.99) – Horror? Bloodsucking? Witches AND Wieners? This Halloween season, Saints Row: The Third has you covered. We’re bundling our most frightening DLC packs into one low-priced super pack that will have you burning at the stake with glee. Trick or treat? We say, why not both? Bonus Movies Packs ($2.49 – $5.99) – Each pack contains a collection of movies taken from Tekken, Tekken 2, Tekken 3 and Tekken Tag. Bonus Track Packs ($2.49 – $4.49) – Each pack contains a various number of tracks taken from Tekken 4, Tekken 5 and Tekken 6. Animal Character Bundle 3 ($2.49) – Download this Animal Character Bundle 3 to play as the Homo Erectus, Businessman, Saber-toothed Tiger and ERC-X in TOKYO JUNGLE. Complete Animal Character Bundle ($6.99) – Download this Complete Animal Character Bundle to play as the Black Pomeranian, White Pomeranian, Silky Terrier, Fat Cat, Kangaroo, Giraffe, Panda, Crocodile, Homo Erectus, Businessman, Saber-toothed Tiger and ERC-X. Mawashi Costume (Free) – Download this costume and dress up your character in TOKYO JUNGLE. Famitsu Swag Costume (Free) – Download this costume and dress up your character in TOKYO JUNGLE. Pipo Helmet Costume (Free) – Download this costume and dress up your character in TOKYO JUNGLE. ERC-X Character ($0.99) – Download this character to play as the ERC-X Character in TOKYO JUNGLE. Saber-toothed Tiger Character ($0.99) – Download this character to play as the Saber-toothed Tiger Character in TOKYO JUNGLE. Businessman Character ($0.99) – Download this character to play as the Businessman Character in TOKYO JUNGLE. Homo Erectus Character ($0.99) – Download this character to play as the Homo Erectus Character in TOKYO JUNGLE. Various Multiplayer Taunts ($0.99 each) – Customize your multiplayer experience by downloading one of these new taunts: The Point, The Dougie, The Carlton 2, Stepdance, Skippy Dance, Ride It, Jump Freeze, Cossack, Cheerleader, Champion and Cabbage Patch. Funfair Pack ($4.99) – Roll up, roll up. Enjoy all the fun of the fair with these 5 new puzzles and theme. Experience new puzzles, weapons, customization and more. Elite Soldier Pack ($4.99) – Customize your squad with three new bonus items. Instantly unlock a new recruit in your barracks inspired by the original X-COM: UFO Defense. Outfit your soldiers with specialized armor upgrades including the new Hyperion and Reaper soldier armor kits. Customize your soldiers’ appearances with a variety of colors and tints for all armor sets. Nice update. I understand that you cant release the big PSOne classics due to this week and next being pretty big for the Vita, but it’d be nice to get all the games by november. The difference is quite outrageous in some cases, like God of War, where the saga is $39.99 at retail for 1 + 2 + 3 + Chains of Olympus + Ghost of Sparta. 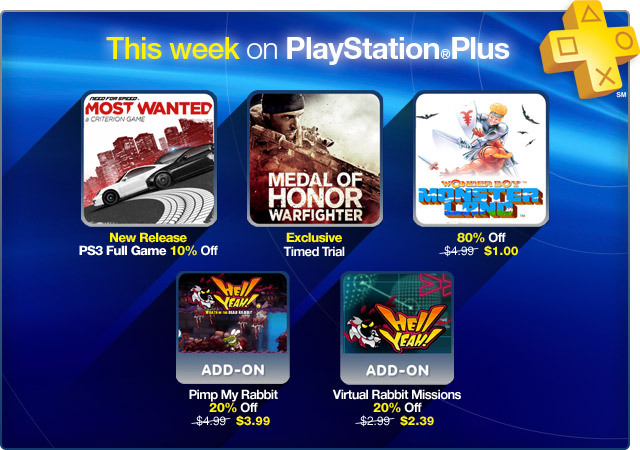 On PSN you only get the PSP games for your same $39.99. If I’m mistaken and it’s a new SCEA policy to overcharge its customers that prefer a digital format then please ignore this post. Hey there, we have alerted the folks in charge of pricing of this, but we don’t have an update on the matter yet. GREAT UPDATE!! Do you guys are any word on when the v4.30 update and new store will hit? 4.30 should be out today, although I’m not sure of the exact time it’ll be pushed to all systems. No update on the new Store date. Sorry! No new layout. Still delayed? Yes, we haven’t announced a new launch date yet. Cant wait to try Allstars on PS3, the Vita version is out of sight!!! Nice update, a bit surprised all the Mugen Souls DLC has been free so far but I am not complaining. Any chance on getting the PS3 game “Steambot Chronicles” as one of the games available to purchase at some point? @9 It was announced last week, the 19th, that it was delayed and that a new date would be announced later on. Artorias of the Abyss!!!! HERE I COOOOOOOOOME!!! Not only did Guerilla Games remaster Killzone, but it seems that they removed all violence and language to render the E-Everyone rating. Meanwhile The Unfinished Swan is looking quite mature with an M rating. Mistakes aside, the update looks great. Been waiting the whole day for Killzone HD. I could have gotten the Killzone Trilogy, but I have every Killzone game released, and I did not want two versions of Killzone 2 and 3. I did however want a remaster of Killzone which is why I wanted Killzone HD. As well as killzone HD,is it just 3 gigs or 3 more of install ? I believe you will need double the room (so, 6 gigs free on your system) to download + install, but once it’s done it will only take up 3 gigs of your HD. I have a quick question about preordering AC3 from the PSN store does only the EU region have the ability to start downloading the preorders 2 days in advance and are they the only ones that get the A Dangerous Secret mission also? Since I noticed after that what I was looking at was the EU blog and I haven’t seen any mention of these things here. Also one more thing if we don’t have these things here in NA could you ask if they could add the preorder mission to NA preorders also and if possible add the ability to download the game 2 days earlier too since it would make preorders a lot more appealing since you could just start playing midnight of the release with a downloaded copy instead of waiting forever for the store to update then start the download then wait for it to finish. I thought Zero Escape was rated “M” for Mature? It is, our bad. Fixing it now. Wasnt there suppose to ve a demo for ograrythym? I cant wait to finally play corpse party. Also, more people should play dokuro! I am commenting from my vita. My question is, could it be possible to have a ps blog app or have it autosign us in when we view it from the vita browser? Origins Collection for $19.99 is tempting, even though I already have the Bluray XD. @5: If stores drop the prices of some games, it does not mean that Sony is doing that. The stores are independent, and can do whatever they want with their inventory. I have not seen any PR from Sony saying that those games are officially getting a price cut on retail; so I doubt they are the ones behind that. And the Darkness 2 is still $40? That game has been out forever on retail. $30 for that Vita rhythym game is also ridiculous. Will there be a way to buy the killzone trilogy as a bundle like the actual disc copy that is 39.99 at the stores or are you only able to get the first killzone? If you are able to get the trilogy as a set much like you did with the ratchet and clank etc when will it be available and how much? The Drop said the whole Killzone Trilogy would be added to the PS Store today, why aren’t Killzone 2 and Killzone 3 up for download with Killzone HD? Sorry for the confusion! Only Killzone HD is out on PSN today, but the entire Killzone Trilogy is out in stores. I highly recommend The Unfinished Swan. @26 it still looks bad on them that they can’t compete, price wise, with their own firsty party games on the psn store. Even if the retail stores are intiating the sales, Sony should take a hint and drop the psn price down some to get more sales that way as well. When will be fixed the Sonic Adventure 2 and NiGHTS Premium Theme issue? Yeah Sega promised that in the purchase of either game you will receive a free theme, so please I hope you can answer me about this, thank you! I’ll reach out to folks again and see where we’re at. WTF is this?! $14.99 for a $9.99 announced Dark Souls DLC?! You have to be S’ing me! I’ll wait till this goes on sale cuz this is by far NO WAY near $15 when the game itself costs $20-30 now. Give me a break Sony, start updating your prices or just file for bankruptcy! Wait a minute. What about the update for Borderlands 2? You know, that Mr. Torgue thing. Are we going to have to wait another week to download it? You know they *just* released the Captain Scarlett expansion, right? There was no other Borderlands 2 update for today. As a PS plus subscriber, I find rather aggravating the fact that we’re unable to purchase discounted items because we previously had them for “free”. Some of these games on sale for Halloween that were freebies a few months back, for instance. Please Sony, find a way to offer us that possibility. Otherwise, an amazing service and an awesome update. Can you guys please explain why I can’t use my premium avatars through my PS Vita? And can you guys tell who ever is in charge, we want Crash Bandicoot games and Spyro games Vita compatible not pong. Why is that even in the psone classics that should be a free mini at about 500kb. This idea came in mind when i posted a list of games i will like on PSN on the weekly drops but it also seems other people do the same. so i decided to make a ps.share idea that will do that But it needs support! although i wrote that it’s similar to steam there is a difference. In this feature a person can just write down a title of any game(except exclusives like mario) for people to vote for and sony can try to make the game Available for the PSN^. example: lets say resident evil revelations for vita. I know you’ll never respond to this comment, but I still have to ask… why do you insist on overcharging for digital releases of games that are much cheaper in retail? For instance, why would anyone in their right mind buy the Darkness 2 for 40 bucks when they can get a physical version for half the price? Are you just hoping to trick the people who don’t do any research into thinking thats the actual price? Same thing with tons of Sonys own released games, often twice the price on PSN as retail. While I’m no major in business, I’m pretty sure that trying to sell people a file for twice the price of a physical release isn’t going to make you much money at all. Corpse Party isn’t showing up in the “Discounts” section of the store.